2012 was big. 2013 will be even bigger. While in Atlanta for their debut A3C performance, Tech N9ne and Krizz Kaliko sat down with HipHopDX‘s The Company Man for a lengthy exclusive interview regarding the massive growth of Strange Music and what awaits next year. Speaking on his new roster, Tech N9ne explained that he wants to see them all flourish under the label and expects them to continue their success. At just over twenty minutes, the new interview is a hilarious look at how well Tech N9ne and Krizz Kaliko interact, which begs the question – when do we get a television show from the duo? 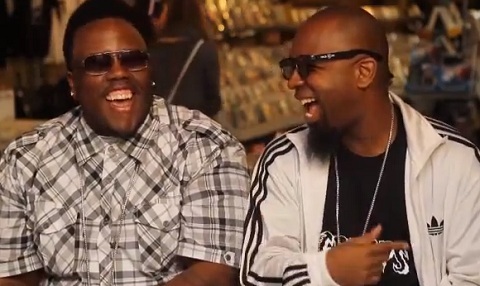 All that and more gets answered when HipHopDX checks in with Tech N9ne and Krizz Kaliko! Strange Music Cypher finally happening? CLICK HERE TO PURCHASE BOILING POINT! What do you think about Strange Music’s direction in 2013? Are you excited for all of the new projects?